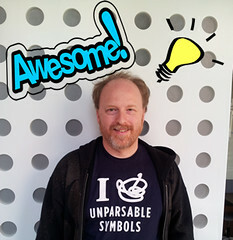 Webmakers are going to Vancouver Mini Maker Faire! 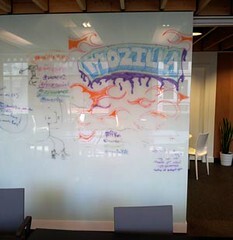 It is with great excitement that we announce to everyone – Mozilla Webmakers are going to Vancouver Mini Maker Faire!! For those of you who are not familiar with Maker Faires, it’s a global annual faire where all “makers” gather and geek out! The event takes place on June 1-2, 10am-6pm at PNE. In collaboration with the folks from the Vancouver Mozilla office, we will have a group booth over the span of the faire where we feature Mozilla Webmaker tools (Popcorn, X-ray Goggles, Thimble) as well as (fingers crossed) some of the new FirefoxOS phones to get hands-on with. Volunteers from the Vancouver Mozilla office will also assist with manning the booth. Emma & Helen really wanted to present Mozilla Webmaker tools at the Vancouver Mini Maker Faire, so they decided to do a “call out” to the folks at the MozillaYVR office and see if there might be any takers who are willing to help out. Dethe & his Awesome ideas! Why: We will demo and have a hands-on booth area for webmaker tools Popcorn Maker (create video mashups in the browser), Thimble (easy webpage editor) and the Hackasurus X-Ray Goggles (explore and remix any web page). We will have a variety of Hacktivity Kits with tutorials and challenges. Participants will get a chance to explore the tools, create a multimedia project, and share their work online with the rest of the existing webmaker community.